Thank you for being a blessing to us! – EXPLORE . ADVENTURE . DISCOVER . Thank you for being a blessing to us! Three days ago my family and I lost someone very dear to us. 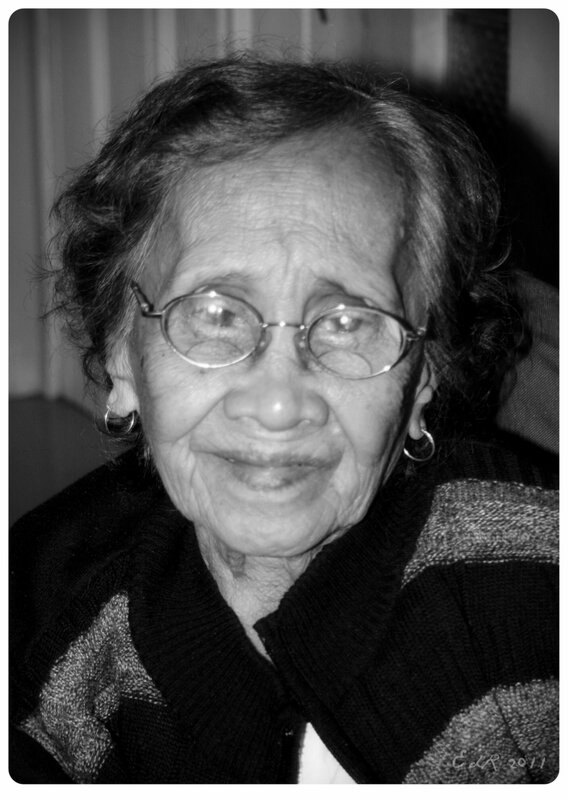 Our grandmother was 92 years young when she joined our Creator. We will miss her dearly but we know that she is now in a better place free from pain and suffering and she is finally reunited with the love of her life and their two loving children. Our grandmother was a kind and loving soul. She has a huge heart and was always giving to everybody even if it means giving everything that she has as long as she sees you happy. But she is also a very strong woman and a fighter ’til the end. In 1994, when she lost her youngest daughter tragically right after our grandfather had a heart attack and was paralyzed, she was devastated and heartbroken but she pulled herself together and carried on though she was in so much pain. She took care of our grandfather tirelessly who also suffered in the early stages of Alzheimer’s. At one point she must’ve felt overwhelmed and broke down. She said to my grandfather, “How could you let this happen to you? Why are you allowing this to happen to you? Why don’t you fight back.” She cried for a while and you can feel the depth of her pain and sadness. I tried to console her but she pushed me away so I backed off. I understood that she needed some time alone. After she calmed herself down, she went back to her normal routine of taking care of our grandfather. She did that until he passed away in 1998. Our grandmother is an amazing woman. I admire her courage, her strong faith in God and her ability to always see the good in people. She always thought about everyone. She never forgets holidays most especially birthdays. She loved her children, grandchildren and great-grandchildren as well as her parents, siblings, nieces, nephews and friends whom she considered family. She was always kind and caring to everybody. Our grandmother also loved cooking and she always came up with some new dish that she doesn’t even have a name for but it was always delicious 🙂 . She’s a lover of laughter, likes making jokes and always had the warmest smile that makes you feel loved. She shared many funny stories from her childhood and it still makes me laugh when I remember it. She is definitely one of a kind and we are very blessed that she was our grandmother. She will be missed greatly by all of us, her family. I will miss her cooking, her sweet smile, her jokes and stories but most of all the ways that she shows her love and how much she cares. I can never repay her for the sacrifices she did for me….for raising me as her own child. It wasn’t easy and I gave her a lot of headaches but I hope that somehow I made her proud of the things that I accomplished. Life will never be the same without her but her memories are forever etched in our minds and hearts. We love you very much Mamang and we can’t thank you enough for being a blessing to all of us ♥. My condolences to you and your family but take heart, those in God are never lost to us. Take care, blessings. Thank you so much for the comforting words. Take care & God Bless! Sending you strength and love. Thank you so much for your consoling words. Take care! sorry about your loss. stay strong! Thank you for the consoling words. It’s very much appreciated.